Keynote Speaker & Creating Magic Moments Workshop at the 2019 PMI Institute in Hilton Head, SC. Jeff Kaylor will teach you some incredible magic you can do within minutes of watching these videos. You will also receive the “Pocket Magic Kit” so you are ready to do magic any time! unbelievable magic you can learn! "Jeff took a normal, safe, quarterly business review for 150 team members and turned it on its head. His message and magic grabbed our head and hearts. This event produced lasting change to our relationships internally and with our clients. Engage Jeff if you want to cut through the clutter and make an event come to life." 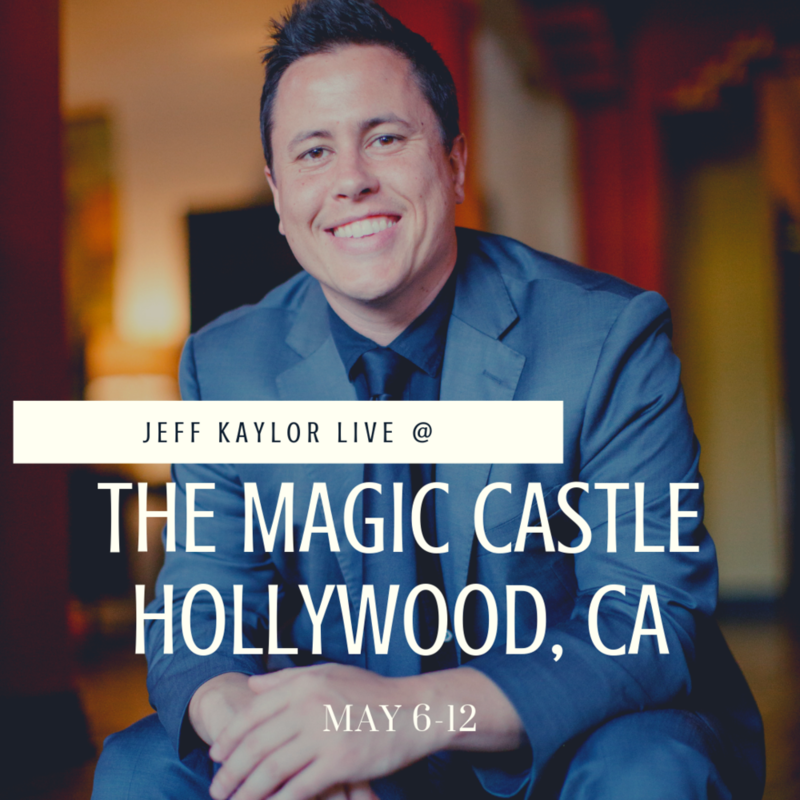 "Jeff Kaylor spoke at our event and he was so engaging and entertaining, but also brought so much value and encouragement with his message on creating magic moments. I heard from so many people how much they loved hearing from Jeff and the amazing show, truly magic!" "We've worked with Jeff on several occasions at Give Kids The World Village and each time, without fail, he's been professional, entertaining and engaging. Whether performing for a room of wish-granting professionals, an exclusive group of VIP Gala attendees or an excited wish child, Jeff engages with the audience as an extension of Give Kids The World, representing and exuding our mission to provide the happiness that inspires hope. We are thankful for Jeff's investment in our organization and would not even hesitate to recommend him to you."